We modern humans like to believe we're superior to the horse-riding, leech-using, not-hand-washing humans that came before us. After all, we've walked on the Moon, and they mostly just walked around in piles of their own garbage. But despite all our advances in science and medicine, there are some ancient techniques we still can't do better than our ancestors did. Sure, we have antibacterial soap and recycling centers, but they invented the wheel, and the wheel is the reason why today we can travel across once-impossible distances in a matter of hours, and also drive four blocks from work to the deli because it looks like it might rain and we wouldn't want to get any water stains on our shoes or anything. Ancient people may not have done anything so great as invent Starbucks, but it was back in the 11th century when someone figured out that if you boil coffee beans in water you can stay up all night long dreaming of new and novel ways to treat patients with blood-sucking leeches. So put that in your Starbucks tumbler and sip it. Hovercraft are coming! Said every dumb science fiction magazine since the 1960s. Actually after all this time it seems hovercraft maybe aren't coming, and the only awesome vehicle-related technological advancement we're likely to see in the so-called space age (which, according to all those sci-fi magazines from the 1960s is right now) is the super-boring self-driving car. Despite all our jet-pack and hovercraft-induced fantasies, humans still haven't been able to improve upon the good old fashioned wheel, which the Smithsonian says has been around for at least 5,500 years. 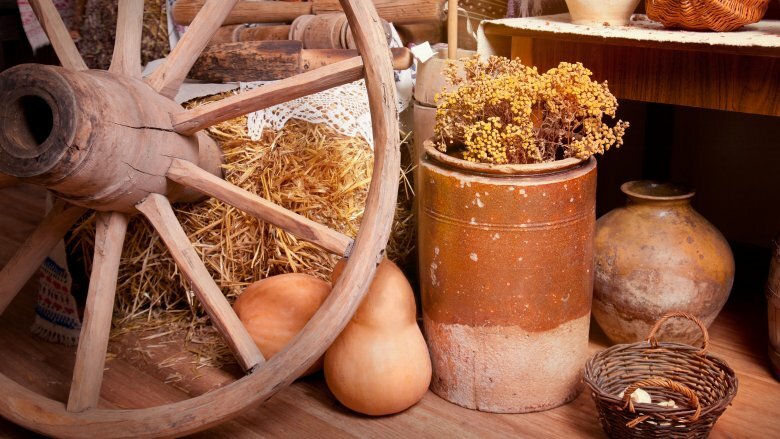 And the very first wheels were used for making pottery, which means your set of casserole dishes actually has a longer history than the wheels on your Prius. So do baskets, flutes, and boats. Yes, humans had to come up with a lot of pretty sophisticated technology before it ever dawned on anyone that you could make a cart move faster if you put a couple circular objects under it. About 300 years after the pottery wheel was invented, someone finally took the leap from making cookware to making chariots, and so humankind's need for terrifying speed was born. Today the wheel makes long distance travel not only possible but routine, is responsible for the deaths and injuries of millions of motorists, and helps casinos collect millions of dollars from people who think it might actually be possible to win at roulette. Archaeologists dig up all kinds of bizarre and puzzling things, but one of the most bizarre and puzzling of them all is the trepanned skull, an oddity that actually appears to be quite common to prehistoric societies from ancient Greece to South America. 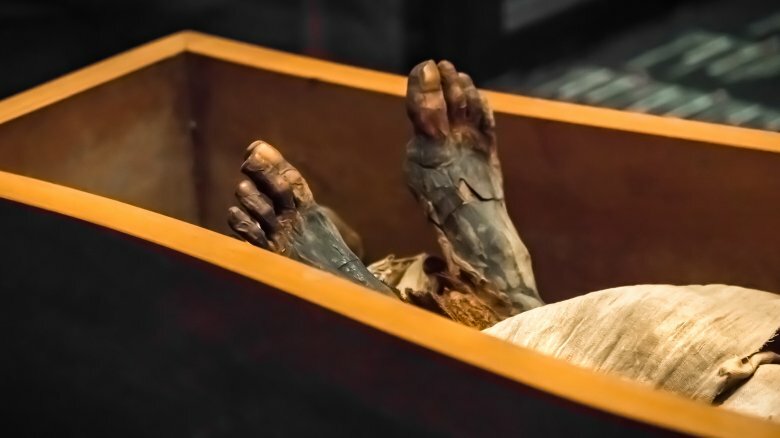 If you aren't familiar with the term "trepanned," it's a transitive verb meaning "To bore or otherwise make a hole in (the skull)," and it was typically done on a living patient. 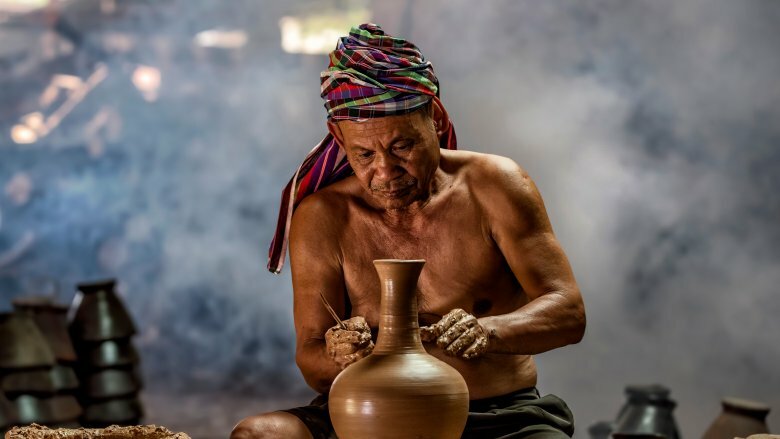 Anthropologists don't really agree about its purpose, though based on some cultures where trepanation was still practiced as recently as the 20th century, it was done to treat pain. Which makes perfect sense, really, since who among us hasn't dreamed of migraine relief involving a hammer and a sharp object? Although we can't say with any certainty that ancient people used the procedure in the same way modern doctors do, there are some common medical ailments that are still treated by trepanation. According to an article in Patient Care, people who have subungual hematoma experience severe pain caused by a buildup of pressure inside the skull, and the best way to relieve the pressure is, you guessed it, to drill a hole in the person's skull. So while you probably wouldn't want to travel back in time for top-of-the-line prehistoric medical care, as it turns out the ancients did know a few things that modern doctors do, too. 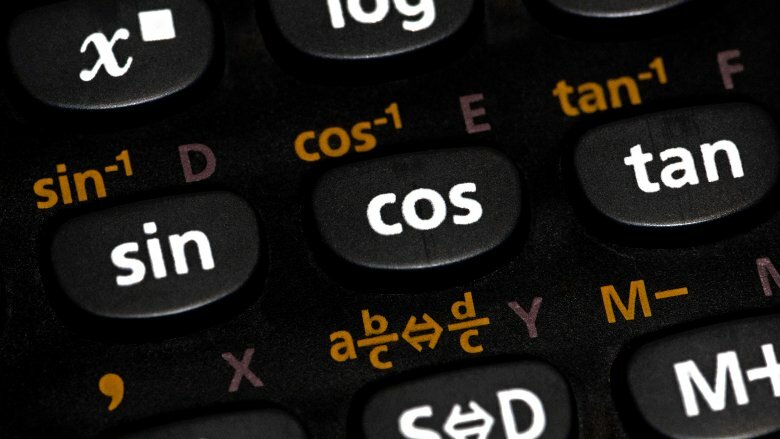 Trigonometry is a word that makes most people break out in a cold sweat and remember all the sines of high school, and also the arcs, versins, exsecants, secs, and cosecs. If you don't actually know what those things are, then count yourself lucky for having escaped one of the modern world's most heinous forms of torture. Modern trigonometry is believed to have been invented by the ancient Greeks, which should not surprise you since they also invented the "brazen bull," which was a torture and execution device that involved slow-roasting someone in a bull-shaped cauldron. But according to the Independent, the history of tormenting non-mathematically inclined humans with angles and measurements actually predates the Greeks by about 1,000 years. A clay tablet known as Plimpton 322 suggests that the Babylonians were not only using Pythagoras' right-angle triangle equation for centuries before Pythagoras ever used it, but that they also used a version of trigonometry so sophisticated that one mathematician said it was "in some respects … superior to modern trigonometry." So the lesson here is not that we should be wowed by the mathematical achievement of people who lived 3,700 years ago, but that we should be grateful that we never had to study an even more superior version of the math torture that still haunts our nights. Here's a tip: The next time you fly your drone into your kid and then go to the ER to have that gaping wound stitched up, and the doctor offers to glue it shut with "skin adhesives," you should laugh because besides the words "Maybe you should go try out the drone" it will be the stupidest thing you hear all day. We still have not been able to improve upon sutures as the best way to repair wounds. Adhesive glue sort of works on an adult with a wound in a "low tension" part of the body, but it's hopeless for an active child, and the scar tends to look uglier than it would if you'd just opted for stitches. As far as we know, the first people to suture wounds were the Egyptians, roughly 5,000 years ago. Early doctors used cotton or hemp, silk, or the tendons and arteries of animals. According to Flushing Hospital, doctors today still use silk and "catgut," which is actually made from the intestine of a sheep. Silk and catgut are both "absorbable," which means they don't have to be removed after the wound heals. 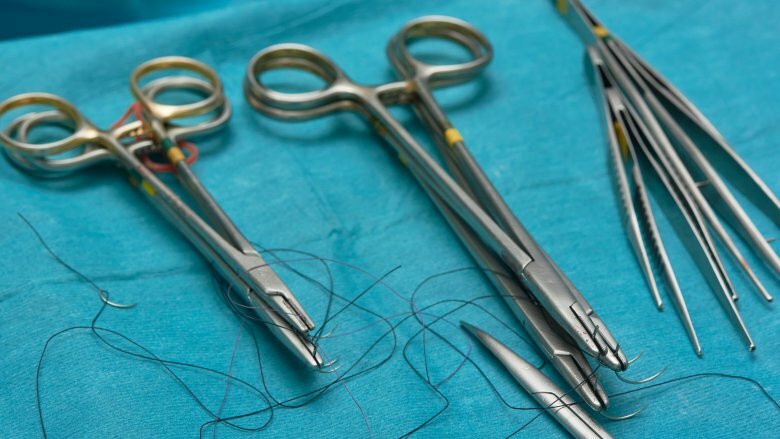 So although doctors also use various other man-made materials, suturing is still the preferred and best method for stitching up serious wounds and making sure a patient's insides stay where they belong after surgery. If there was a way to accurately predict earthquakes, it would solve a lot of problems, most notably giving Californians more free time because they won't always be answering questions about why they choose to live in California when there are so many earthquakes. Still, modern seismologists can't do much more than say, "Well, we're pretty sure there will be a fairly large earthquake somewhere in this part of the world within the next few decades," which is not all that helpful. The best we can do so far is use technology to detect earthquakes as they're happening — seismometers can tell us when and where an earthquake happens, as it is happening. 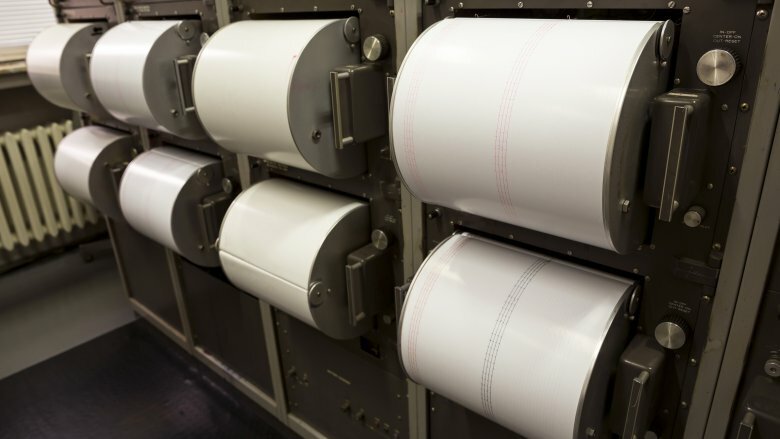 So imagine the world's seismologists and their collective dismay upon learning that the Chinese had an earthquake-detecting machine that was just as accurate as the modern seismometer. According to Ancient Origins, an astronomer and mathematician named Zhang Cheng invented an earthquake detecting machine in 138 A.D., which was said to have detected an earthquake in a neighboring town shortly after its introduction. When scientists recreated the device in 2005, they were able to prove that it could detect simulated earthquakes with the same precision as modern equipment. Unfortunately, Zhang's device was remarkably accurate but not quite good enough to spare Californians from having to answer that stupid earthquake question. Again. The human love of shiny things is surpassed only by our love of pizza and selfies. Long, long ago in a time before pizza and selfies, humans had only shiny things to keep us happy, and those who were not endowed with shiny things were usually sad. Because shiny things were super important to our ancestors, they developed really sophisticated processes for making things shiny. According to Science Daily, artisans who lived in gold- and silver-loving societies 2,000 years ago had a process for gilding objects with precious metal leaf that we still can't duplicate — even the manufacturers of solar cells and DVDs can't apply a thin film with quite the same perfection. Researchers think some early craftsmen used mercury sort of like a glue, which probably also means that early craftsmen didn't really live long enough to enjoy the spoils of their gilded retirement. 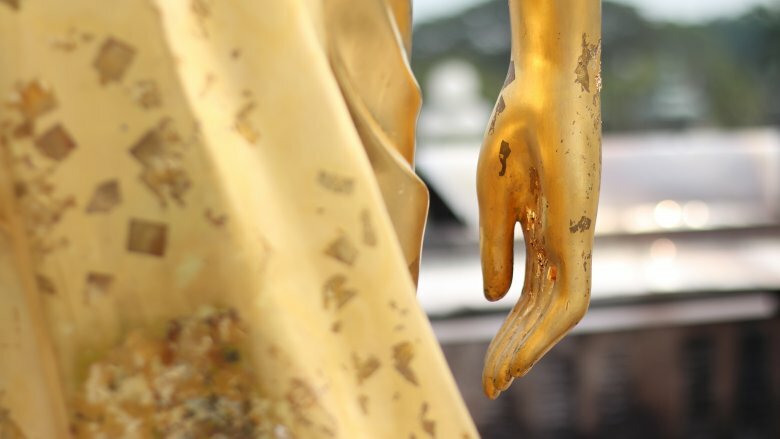 Sometimes these techniques were used to add real gold and silver leaf to objects and sometimes they used them to create expensive-looking fakes, which means that besides liking shiny things the ancients also had talented crooks and criminals, just like we do. Some things never change. People have been farming for most of human history. Sure, there have been some great advancements in technology — farm equipment and machinery has made some of the work faster and has increased our ability to farm on a much larger scale. But much of the work still has to be done by hand, so while some aspects of the farming industry have moved forward, others have stayed pretty much the same. 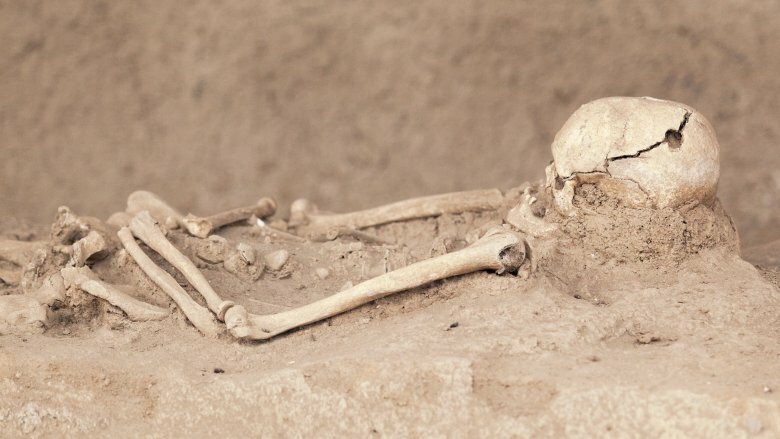 According to the Smithsonian, some modern farming techniques are actually inferior to the techniques used by ancient people. The Inca, who lived in the Andes, farmed in pretty hostile conditions, so they had to be innovative as a matter of survival. They built canals and cisterns to move water around, and they built terraces so they could farm steep slopes. They selectively bred crops like potatoes and corn, which could handle the severe conditions. 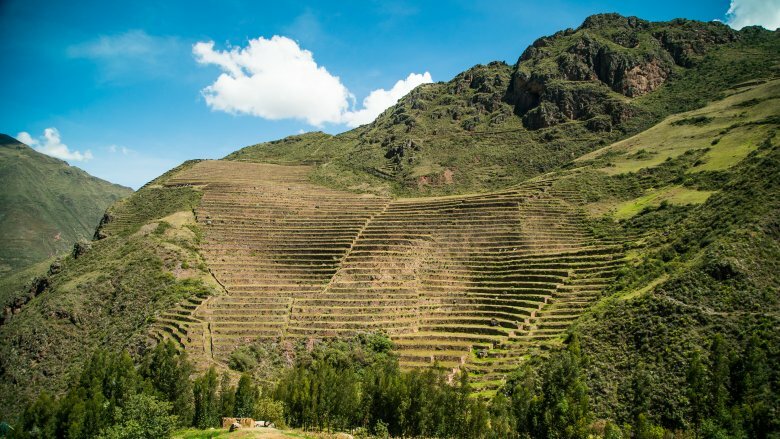 By the 1400s, the Inca were farming more than a million hectares. Then one day the Spanish came along and went, "Your way of farming stinks. You have to do it our way." And then half the Incan population died and the rest of them mostly forgot how their ancestors worked the land. Today, Andeans are adopting the old farming methods because they're just more productive than the methods the conquistadors introduced. The moral of this story: The conquistadors were jerks. Modern concrete isn't usually thought of as an architectural wonder — concrete buildings are mostly just uninspired, ugly slabs of human indifference. But concrete is still the world's most pervasive building material. According to U.S. News and World Report, around the world roughly 19 billion tons of concrete are manufactured and used every year, accounting for a whopping 7 percent of all the world's carbon emissions. The problem is that modern concrete isn't very durable. Back in the early 1900s, engineers thought they were building structures that would last for 1,000 years, but as it turns out, most modern concrete buildings have a lifespan of something like 50 to 100 years. One of the major factors in the degradation of concrete buildings is the steel reinforcement — steel rusts, which impacts a building's structural integrity in ways that are difficult to halt or even diagnose. 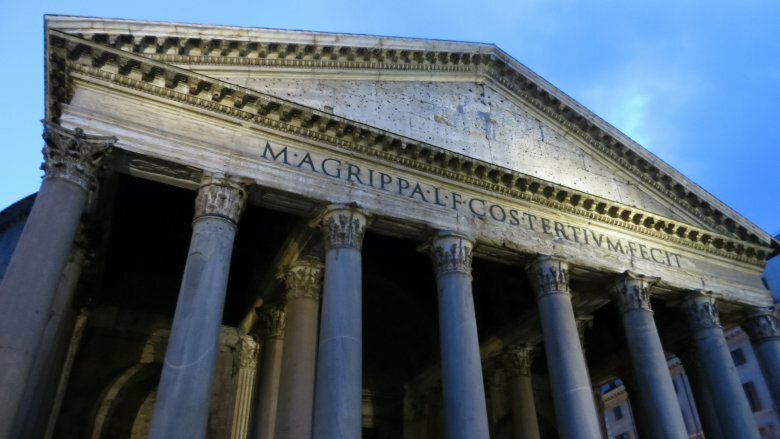 The Romans, on the other hand, knew how to do concrete — the concrete Pantheon has been standing for 2,000 years. Modern concrete is made from limestone and clay, but the Romans made it from lime and volcanic ash. The result was not only more durable than the modern "Portland cement" formula, it was also more environmentally friendly. Roman concrete baked at much lower temperatures than the modern formula, which means it emitted less carbon dioxide. Of course, the Romans also wore those dumb helmets with the brooms on them, so they weren't superior in every way. Humans need water just as much as we need shiny things, pizza, and selfies. For centuries, obtaining water has been a fundamental problem — early humans either had to figure out how to carry large amounts of water or limit themselves to settling next to lakes, rivers, and streams, and even then it was difficult to farm anything on a large scale because no one had really solved the problem of irrigation. Then this guy named Archimedes came along. Archimedes was a Greek scientist who (supposedly) was faced with the problem of removing a large amount of water from the hold of a ship, though some suggest his invention was just improving on an already-existing design. An Archimedes screw is basically a screw inside a pipe which, when turned, draws up water. In Egypt, the device was used to irrigate the Nile delta. The device made it possible for people to obtain large amounts of water without having to carry a bunch of buckets around all the time, which was great for efficiency but probably terrible for bucket sales. 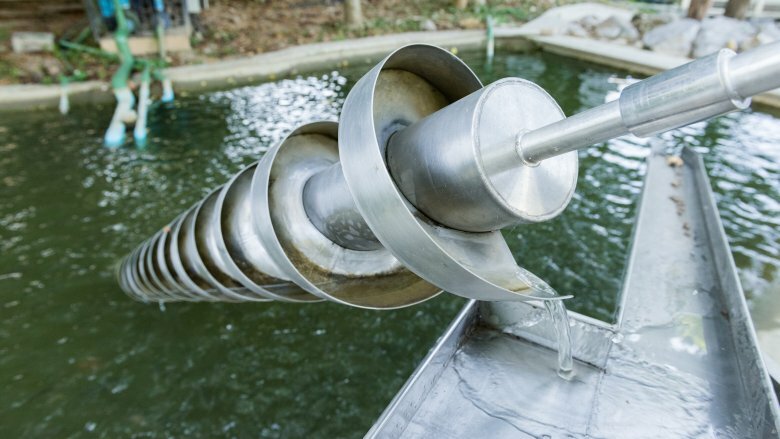 It's very old technology, but it's so effective that Archimedes screws are still used today in irrigation and sewage treatment, and for moving around cereal grains or plastic granules. It's a great example of technology that's so simple and brilliant there there really isn't any need to mess with it. Concrete, steel, and good old-fashioned wood may be America's building materials of choice, but nothing quite compares to stone in terms of beauty. Humans have been building things out of stone for millennia — stone is used for walls, buildings, walkways, and countertops and remains one of the more expensive modern materials. That's because every stone has to be individually cut and shaped, and we still can't do it any better than our ancestors could. The Egyptians had stone cutting down to a precise science — according to Ancient Origins, archaeologists still aren't sure how they did it because their work is as good as or better than what we can do today. Egyptian craftsmen could cut and shape stone without modern tools or measuring devices, which is pretty remarkable when you consider how hard it is to perfectly align the edges on something as simple as a paper airplane. Huge granite boxes found at the Serapeum, which were meant to hold the mummified remains of prize bulls, have perfectly flat surfaces, parallel construction, and sharp corners, far beyond what you'd expect a craftsman could create with primitive tools. Ancient Origins stops short of saying the Egyptian stone cutters were aliens, but nine out of 10 conspiracy theorists are pretty sure that's how all that precision can be explained. We're more in the "craftsmen who really cared about producing quality work despite limited resources" camp but hey, you never know.